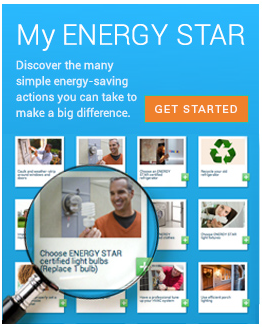 The Best Value Finder obtains information on price and availability of ENERGY STAR certified models directly from retailer websites. Prices may vary in store or online. We do not warrant the accuracy, completeness or usefulness of this information, including model images and information related to model pricing or specifications; photos of models may not represent actual models sold. Prices and available quantities are subject to change without notice. Any reliance you place on such information is strictly at your own risk. Furthermore, the retailer websites may include content provided by third parties, including manufacturers, suppliers and third-party licensors. All statements and/or opinions expressed in such retailer, manufacturer or other third party produced materials, and all articles and responses to questions and other content, other than the content provided by the EPA, are solely the opinions and the responsibility of the person or entity providing those materials. These materials do not necessarily reflect the opinion of the EPA. Please share any issues or feedback related to this website by reporting it here. Room air conditioners that have earned the ENERGY STAR offer value because they save you money on your energy bills. Use the list below to find the best value in terms of purchase price. Bigger is not always better! Oversized room air conditioners are less effective and waste energy. An improperly installed room AC leaks as much air as a 6 sq inch hole. Follow the instructions and use the insulation materials included. For maximum savings, set the AC thermostat as high as is comfortable.